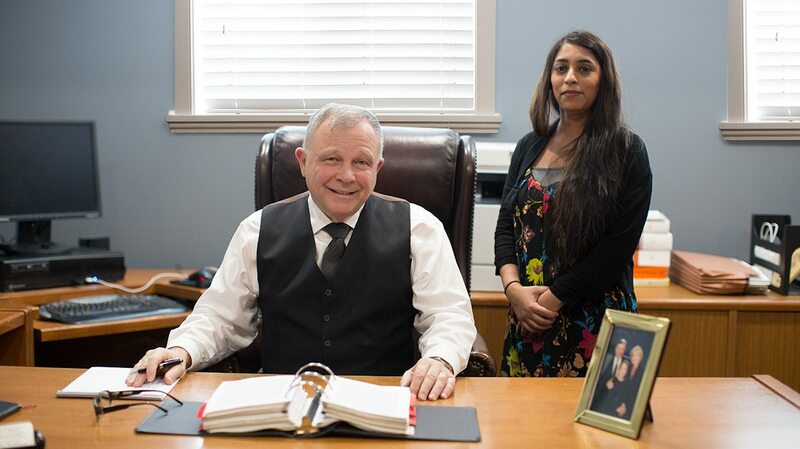 George F. Brant, with over 30 years experience as a lawyer, and Zainab Anjum, with over 7 years experience as a legal assistant in the employ of George F. Brant, Barrister & Solicitor, are an effective team attending to clients’ legal needs on a daily basis. When not lawyering, George F. Brant is a family man who resides in Mississauga with wife Christine and daughter Miranda. Notable pastime: Member of the Board of Directors of the Mississauga Symphony Orchestra (resident symphony orchestra of the Livings Arts Centre in the City of Mississauga). Built in 1885 in the Village of Streetsville and owned alternately by two prominent Streetsville families (the Robinsons and the Brays), the Robinson Bray House of today is home to a number of independent businesses. Restored and expanded, the Robinson Bray House retains its original style and grandeur within Streetsville’s busy commercial core. The City of Mississauga has declared the Robinson Bray House a heritage home of “architectural and contextual value”.